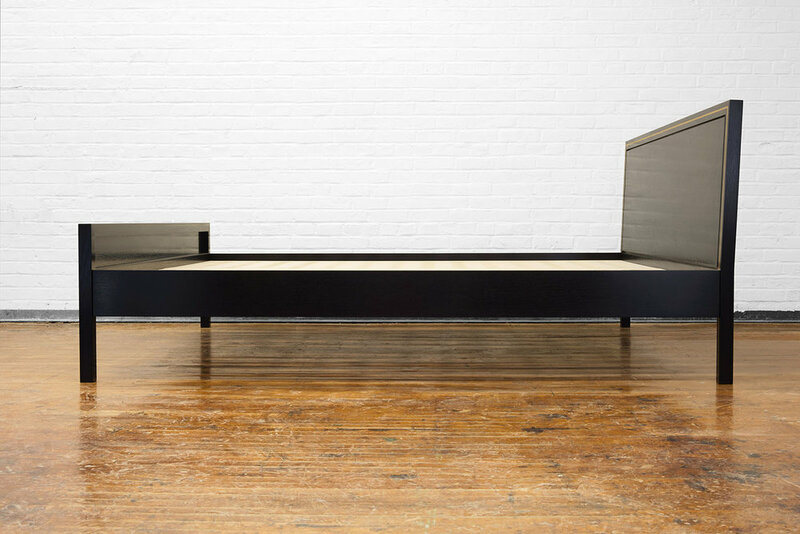 The Hudson Bed borrows its clean contemporary lines from minimalist design. 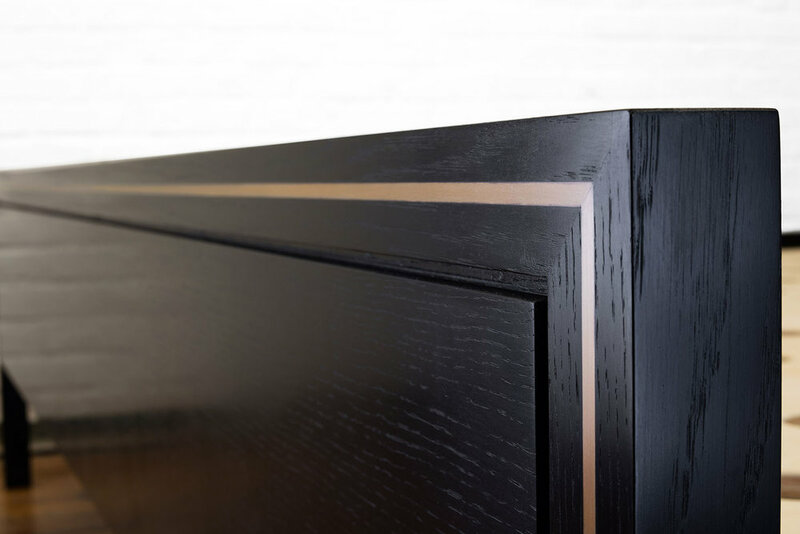 Inlaid brass adds an element of luxury. 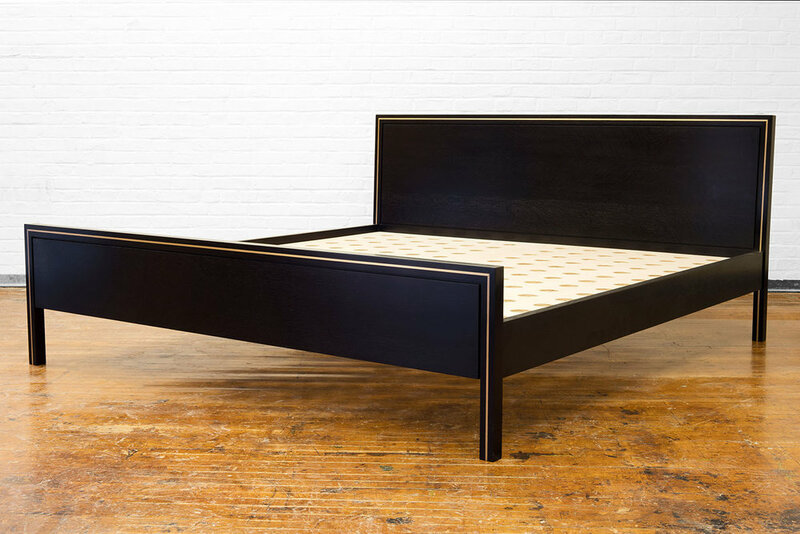 Shown in ebonized white oak in a king size.